Amazon.com Price: $34.95 (as of 2019-04-22 14:44:25 GMT) Product prices and availability are accurate as of the date/time indicated and are subject to change. Any price and availability information displayed on Amazon.com at the time of purchase will apply to the purchase of this product. 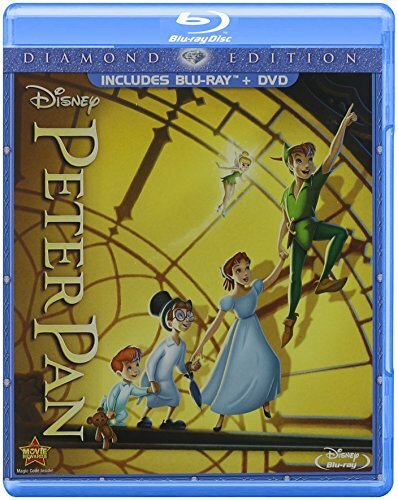 Think of the happiest things as PETER PAN soars to spectacular new heights for the first time on Blu-ray — now more sensational than ever with digitally restored picture and brilliant high definition sound! Bid your cares goodbye as Wendy and her brothers embark on fantastic adventures with the hero of their bedtime stories… Peter Pan! With faith, trust and Tinker Bell’s pixie dust, Peter teaches them how to fly and leads them to the “second star to the right” and beyond… to Never Land! Personalized Valentines Mug for just $7.99 Shipped!